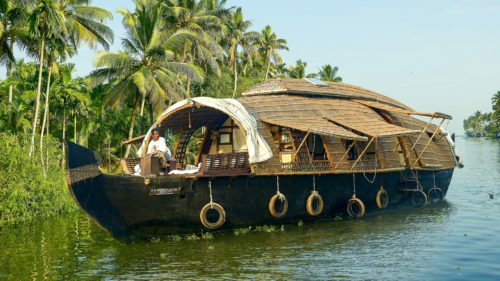 Originally created to transport rice and spices along the large and intricate network of lakes and canals that cover the central state of Kerala, these vessels have been carefully transformed into private houseboats from which you can sit back and enjoy the world of coconut palms and local villages drift by. 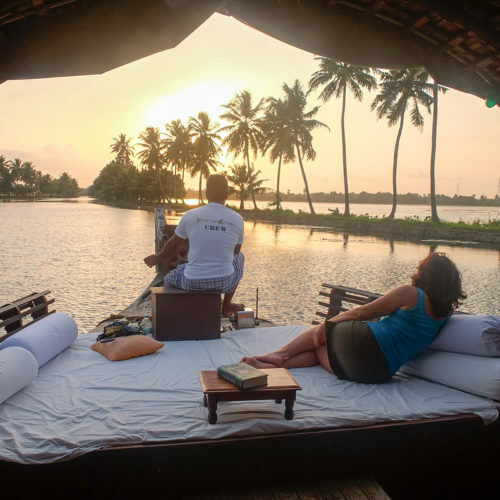 Spice Boat cruises are managed by CGH Earth and operate in and around the backwaters of Kumarakom. Made completely from natural materials, the boats are powered by solar energy and vegetable oil. Cane and rattan canopies create a warm, natural ambience in which you can sit back and enjoy the gentle scenery and river life. Each vessel comprises of a living room, one or two bedrooms with en-suite bathrooms and kitchen. Enjoy this entirely unique and Keralan experience, being cared for by your very own cook and captain.